Prayer can have amazing power. 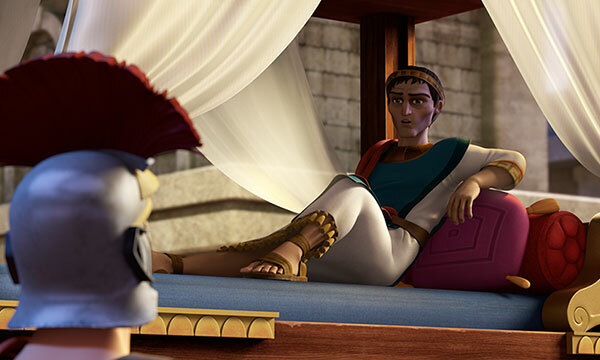 King Herod Agrippa I was not a pleasing king in God's eyes! He was the son of Aristobulus and grandson to Herod the Great. The king seemed to be popular with the Jews because he persecuted the leaders of the Jerusalem church. King Herod Agrippa I put to death the Apostle James and later arrested Peter (Acts 12:1-3). When Peter escaped from the prison, the king sentenced the prison guards to death (Acts 12:19). The king died when he was struck with sickness by God for accepting the worship of people instead of giving the glory to God (Acts 12:21-23). 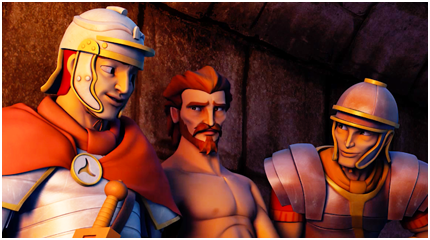 Roman Guards arrested Peter and put him in jail. 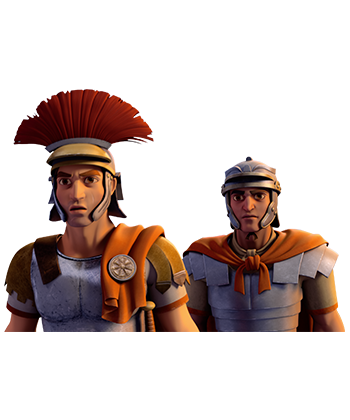 There were four squads of four Roman guards assigned to guard Peter. Two guards were even chained to Peter in his cell! Other guards stood at the prison gate. The Romans were not taking any chances, yet, no amount of guards or gates could keep Peter from escaping! 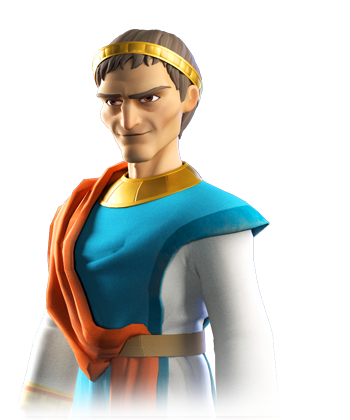 King Herod Agrippa I sentenced the guards to death when Peter escaped. Roman guards were placed at Jesus’ tomb to secure and guard it. 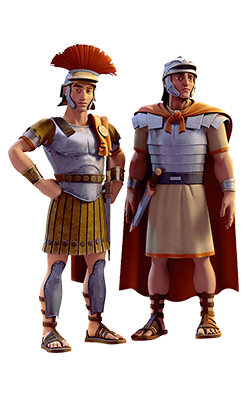 The Roman guards were not the same as the Temple Guards who were Jews. The Temple guards operated under the Jewish High Priest’s authority. They handled disturbances of a religious nature and also provided protection for the Temple and priests (Matthew 26:58; Mark 14:34). 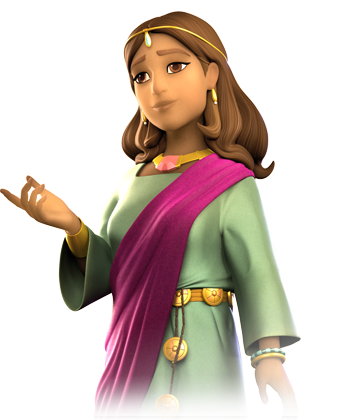 Mary was the mother of John Mark and the sister to Barnabas. It appears that Mary was wealthy, having a servant girl named Rhoda at her house. Mary gathered others to pray for Peter at her house after his arrest. 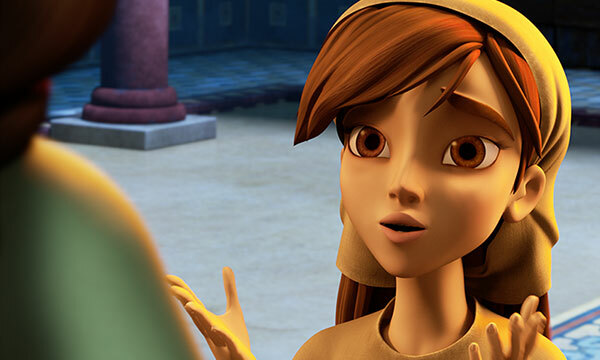 Mary and the others were amazed to find Peter freed from prison and knocking at her door. Amazing things can happen when we pray! Mary hired a young girl named Rhoda at her house as a servant. Mary was a woman of prayer. Believers gathered at her house to pray for Peter after his arrest and imprisonment (Acts 12:12-13). 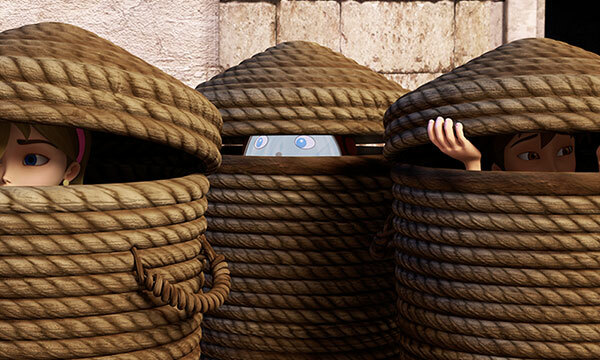 Mary and Rhoda were amazed to find Peter freed from prison and knocking at her door as they prayed (Acts 12:15-16). Yes, prayer is powerful! 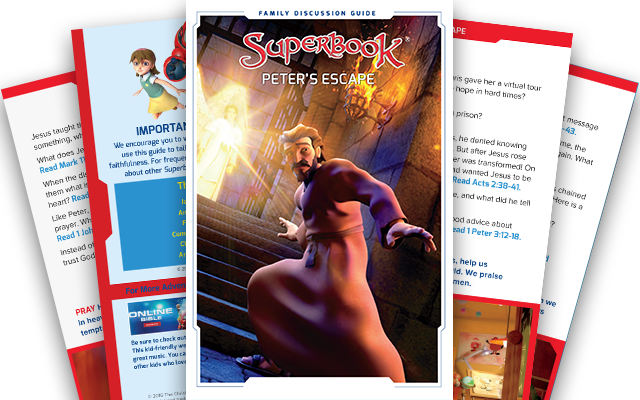 Peter was chained in his prison cell with guards on both sides of him. 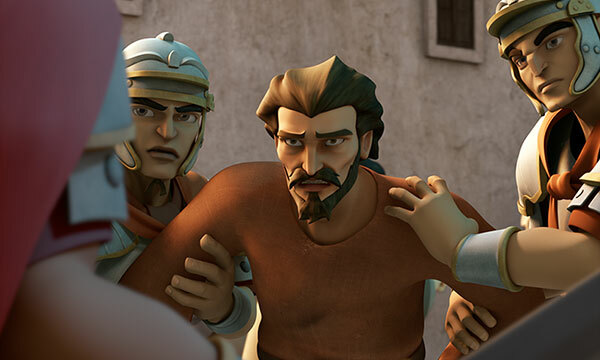 The situation was desperate; it seemed impossible to save Peter from death. But, in Acts 12:5, it says, "But, The church began to pray!" 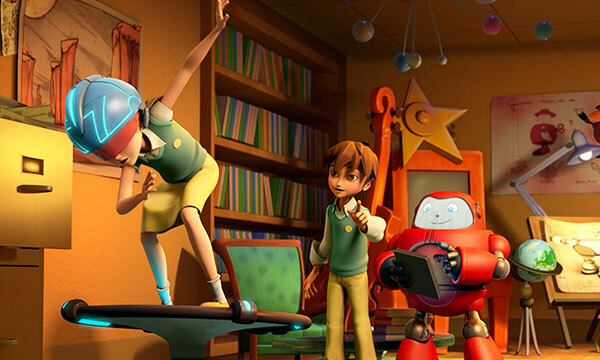 An angel came to rescue Peter and deliver him from his death sentence. Peter thought he was seeing a vision, yet it was real. Peter was miraculously freed by the amazing power of God through prayer! (Acts 12:11). Even when a situation looks hopeless, and we feel powerless to help - God can do amazing and powerful things through prayer! James 5:16 tells us, "Confess your sins to each other and pray for each other so that you may be healed. The earnest prayer of a righteous person has great power and produces wonderful results." Yes, prayer has amazing power to accomplish whatever God purposes to do! Must we believe what we pray? The church united in prayer for Peter to free him from prison. 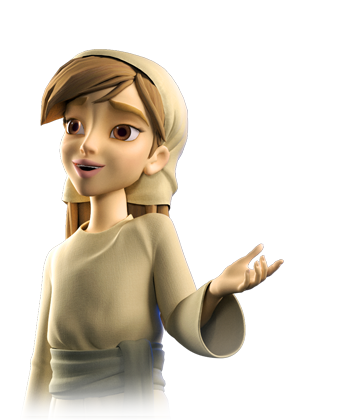 Yet, when the servant girl told them Peter was at the door, the praying people said she was out of her mind! (Acts 12:12-16). God did answer their prayer, yet they couldn't believe it!. We all most likely have struggled with unbelief when we ask God for something. But, God calls us to believe! Another example of this is found while Jesus was on earth. A man asked Jesus to heal his son if He could. "What do you mean, ‘If I can’?” Jesus asked. “Anything is possible if a person believes.” The father instantly cried out, “I do believe, but help me overcome my unbelief!” (Mark 9:23-24). When we pray, we should believe in the ability of our Almighty, God to do what we have asked! Jesus said, Matthew 21:22 "You can pray for anything, and if you have faith, you will receive it." What do I have to give others? The lame man that approached Peter and John had been unable to walk since birth. He hoped to receive some money from them to maybe help him make it through another day. He had no clue what was about to happen when he looked into Peter's eyes and took his hand! His life would never be the same! Peter did not have silver and gold; he had something much greater! In fact, what Peter had was priceless - a treasure! Instead of receiving a few coins to make it through the day, the man could now leap, jump for joy, and praise God. 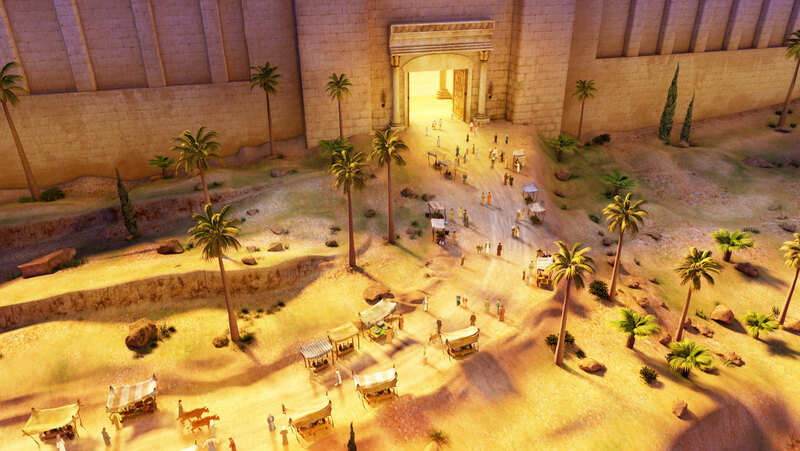 He no longer had to lay by the Temple; he could walk in! The man was healed through the power of Jesus! (Acts 3:2-7). Now, if that isn't exciting enough - there's more! We have that same priceless treasure that Peter possessed. Jesus lives inside us too! 2 Corinthians 4:7 says, "We now have this light shining in our hearts, but we ourselves are like fragile clay jars containing this great treasure. This makes it clear that our great power is from God, not from ourselves." Yes, there is a great treasure; the light of Jesus, and the power of God living in us to share! Can we overcome the world? 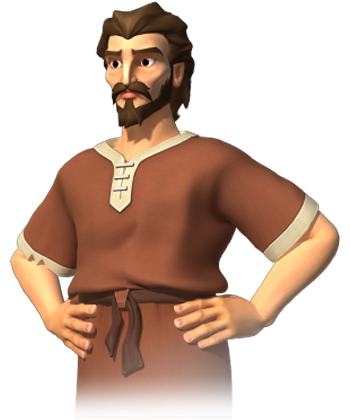 Peter and John encountered a lame man on the way to the Temple. The man was begging for money. 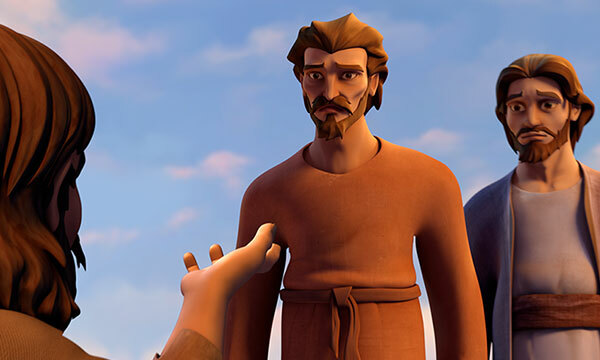 In Peter's own human ability, he had nothing to give the man - but Peter wasn't helpless! Instead, He gave the man more than he could have imagined! Peter gave the man victory over his physical trials, suffering, and sorrow. Peter gave him what the world could not give; the peace and healing power of Jesus to overcome! In the world we are surrounded by evil, suffering and trials. Sometimes it may begin to overwhelm us and fill us with fear and hopelessness. Is there anything we can do? Yes, we can overcome the world through Jesus! Jesus said in John 16:33, "I have told you all this so that you may have peace in me. Here on earth you will have many trials and sorrows. But take heart, because I have overcome the world.” As long as we are in the world, there will be sorrow, evil, and suffering; but we know the overcomer - Jesus! 1 John 5:4 says, "For every child of God defeats this evil world, and we achieve this victory through our faith." After being filled with the Holy Spirit, Peter and the other disciples went about preaching and performing miracles in the power of Jesus. Certainly this would make everyone happy, right? Unfortunately that wasn't the case. Peter's message was not well received by many of the religious people of that day. They did not believe Jesus was God's Son. This is true today in today's world too. Not everyone will be open to the Good News of Jesus Christ. Before Jesus left the earth, He prepared His disciples for this, He said, "If the world hates you, remember that it hated me first. The world would love you as one of its own if you belonged to it, but you are no longer part of the world. I chose you to come out of the world, so it hates you" (John 15:18-19). This is not a pleasant thing to consider, but like the disciples, we must be prepared for those who will reject the message of Jesus Christ. We are in the world but don't belong to the world; we belong to God! Jesus said, "God blesses those who are persecuted for doing right, for the Kingdom of Heaven is theirs. “God blesses you when people mock you and persecute you and lie about you and say all sorts of evil things against you because you are my followers. Be happy about it! Be very glad! For a great reward awaits you in heaven. And remember, the ancient prophets were persecuted in the same way." (Matthew 5:10-12). Certainly persecution is not something we look forward to, however, there is a reward that awaits us in heaven for living a godly life here on earth. 1 Corinthians 4:17 says, "For our present troubles are small and won't last very long. Yet they produce for us a glory that vastly outweighs them and will last forever!"